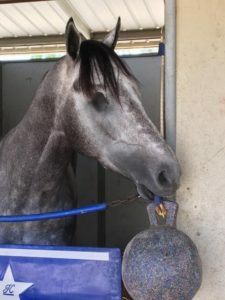 Trainer Dallas Keen had experiences at Lone Star Park in Texas recently that make for top-rate story telling around the backstretch here, or anywhere else the widely-travelled veteran may be stationed. Within a nine-day period, Keen saddled two one-eyed horses to win races. One from the No. 1 post. “I don’t know of anybody else who’s done that,” Keen said Thursday from horseback at his Del Mar stable area. 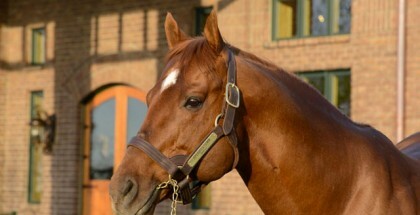 Aglimpseofgabby, a 5-year-old gelded son of Tapit started it with a 5 ¼-length, wire-to-wire go in a June 23 allowance. Then on July 2, Iron Alex, a son of Unbridled’s Heart, won his career debut by 1 ¾ lengths. Aglimpseofgabby is entered in the sixth race on the Four O’Clock Friday program. Iron Alex will run later in the meeting. Neither horse was born without a right eye, but the circumstances in which they were lost remain uncertain. Aglimpseofgabby came to the Keen stable that way and Iron Alex got injured playing rough with a contemporary in a pasture and the eye couldn’t be saved. Aglimpseofgabby has two wins in eight career starts, six in Louisiana and two at Gulfstream Park. 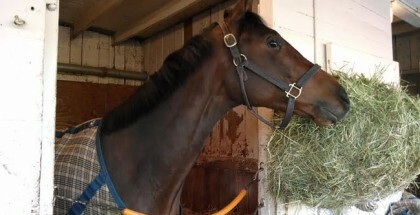 The horse was considered an “outlaw,” Donna Keen said, for antics that resulted in being shuffled from trainer to trainer and being ruled off at Louisiana Downs. He attempted to buck Dallas Keen off several times after arriving at the stable, but the “project” has become a favorite of late. Iron Alex showed potential in his debut and his next start here could be something of a litmus test. It’s been three years since the Keens brought a string to Del Mar for the summer meeting and, Donna said, they’re glad to be back. “We went to Gulfstream Park one summer and we went to Canterbury Downs one summer, but there’s no place like Del Mar,” she said. “With the (Ship and Win program) incentives, I don’t see how you can’t love it. We plan on coming back in the fall.